Top 6 Kurti Fashion Trends you should be following in 2017! Be the best version of you..
always! I’m an a fashion enthusiast and I particularly admire the beauty that an Indian wear gives. It is a proud feeling for an Indian girl like me, whose culture has a fashion which no other place in the world can have. Every culture has a common touch to their dressing style, but what Indian style offers is unique and that’s admiring, isn’t it? While we should embrace the vivaciousness of Indian Fashion, like the way we do that in case of western style, there are many out there who simply love the beauty and style of Kurtis. Kurti trend has reportedly grown with enamor in India as kurti lovers are experimenting with the fashion every now and then. 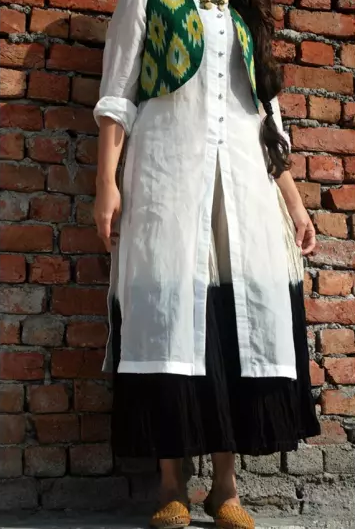 Indian Fashionistas are even incorporating the style and grace of other countries in the Indian Kurti Fashion and bringing about a fresh idea and look of the entire concept. Kurti is something which one can wear casually, for college, for office presentations or weddings or even pre-wedding functions. 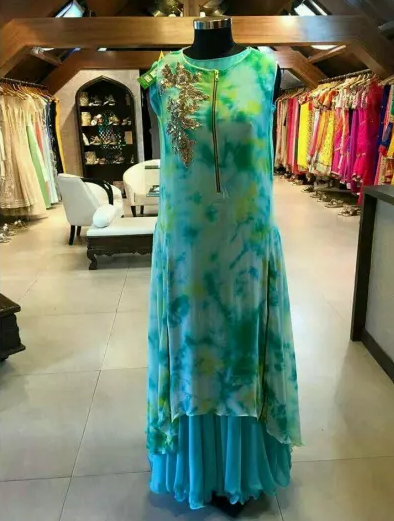 The style and fashion with Kurti is versatile and one can see the different colors of fashion that a Kurti can give to a girl or a women or even an aged women. So you see, how this piece of clothing can mean so much for our Indian Women? Kurti Fashion and different styles is undying in India but the latest 6 Kurti Fashion Trends is something, I would like to share with all my fellow Kurti Lover friends, where they can be up-to-date with the fashion and trends that underline Kurti Style. Are you listening? The Top 6 Kurti Fashion Trends you should be following in 2017! This type of kurti is best worn during the mehendi or sangeet sessions and can garner you the limelight of the show. Try it out! This trend is in vogue since a few years and is going to stay. Women are experimenting with the trend and they look best over palazzo or leggings. Wow! I am in love with this style. It has the versatility of fashion as one can see a clear blend of formal or western look. The best bottom wear to team it up with is jeans or jeggings. This kurti style is like fresh air! Best times to wear it is during festive or wedding occasions. Teaming it up with a palazzo or leggings is the best. This is the most irresistible fashion at the moment! Almost everyone was flaunting slit style kurtis during weddings and functions in late 2016. 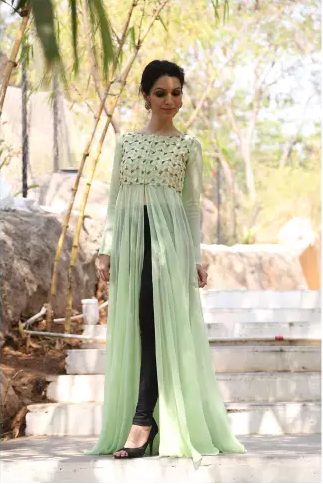 I believe the Banarasi or Chiffon material to be the best in this case as it gives that royal and elegant touch to your overall look and then there is mid-slit and side-slit kurtis to enhance your look further. Now that you’re well-versed with the various Kurti styles and Fashion that are in trend this season, let me know your favorites in the comment section, will you? Amreen I really love your kurti suggestions, hope to buy them all one day, may favorite is the first one, where can I get it? Such a great post! Was in search of same and found it luckily from Google..
Can anyone suggest stores in Pune for affordable designer kurtis? ?